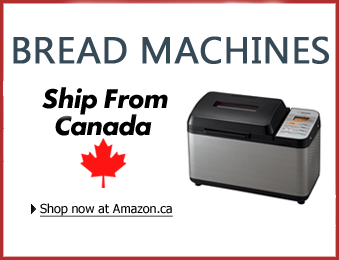 If you’re completely new to the world of bread machines, welcome aboard! Although bread machines can seem like high-tech kitchen appliances, using one is actually really simple once you understand how it works. First of all, what is a bread machine? Put simply, a bread machine is a modern-day kitchen appliance that will bake bread from scratch. 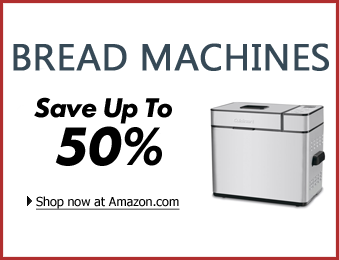 It mixes, kneads, proofs, and bakes bread – all at the push of a button. In addition, bread machines can do a lot more than bake bread. It can make dough for pasta or pizza, bake a cake, and make jam! Bread machines have come a long way since it was first invented by the Japanese company Panasonic in 1986. They became really popular household items in the late 1990s and today, they’re a baker’s best friend. Whether you’re curious about how to use a bread machine or someone gave you one and you want a general idea of how they work, this article is a step-by-step guide on how to make bread in a bread machine. We would also recommend you read the instruction manual that comes with the machine to get more detailed instructions on how to use your particular model. 1) Understand your machine. First, take some time to know your machine. What loaf size does it make? What kinds of cycles does it have? Does it have crust control settings? Bread machines can make loaves of bread anywhere from 1 pound to 3 pounds. They typically feature over 10 different cycles. Cycles refer to the process the bread machine will undertake. For example, the “basic” cycle will bake basic white bread, the “whole wheat” cycle will bake whole wheat bread, the “dough” cycle will knead a dough for you and not bake it, and so on. The cycles are pre-programmed by the manufacturer in the machine. Other settings that come with your machine might include crust control. Crust control allows you to select how light or dark you want your crust to turn out. By taking some time to familiarize yourself with your bread machine, you will know what you can do with it and what ingredients you’ll want to prepare. 2) Measure out your ingredients. When you’re ready to make bread, it’s time to get out the ingredients. You may already know this, but bread making generally requires that all the ingredients – yeast, water, flour, etc. – are at room temperature. Some bread machines have a useful function where you can just add the ingredients directly from your fridge and pantry, and it will wait for the ingredients to come at the correct temperature before mixing. If your machine doesn’t have this function, allow yourself enough time by taking the ingredients out ahead of time. When measuring out your ingredients, make sure your measurements are accurate. Don’t add more or less. This is really important as the slightest error will ruin the texture, taste, and appearance of the bread. 3) Add your ingredients. Make sure you add your ingredients in the right order. Most bread machines have instructions that tell you which order to add the ingredients. It may differ slightly between the machines. Generally speaking, you would be adding the liquids first, then the dry ingredients, and then the yeast last. Though sometimes, you would be told to add the dry ingredients first. What’s important to remember is that the yeast doesn’t come into contact with the liquids to avoid triggering the fermentation too early. 4) Select your settings. The number of settings you select will depend on your machine. Generally speaking, you will need to press the cycle you want. Examples are “basic”, “express bake”, “dough”, “cake”, “jam”, or “gluten-free”. Then you will need to select the crust setting if your machine has this option. Usually it’s between light, medium, and dark crust. If the cycle doesn’t already come pre-programmed with a set time, you will need to set your own time. For basic bread, it will range anywhere from 1 to 3 hours – check your recipe book and manuals. Finally, you might want to select other options such as the delayed timer, which allows you to delay the start of the baking process. If you want to get your machine ready early but don’t want it to bake until closer to meal time, it would be good to use the delay timer. 5) Press start. After you’ve selected your settings, push the start button. If your machine waits for the ingredients to come to the correct temperature, usually nothing appears to happen after you push the start button. But it should start mixing in an hour or so. For the first few times you use your bread machine, check on your bread to see everything is functioning properly. You can use the viewing window if your bread machine comes with one to see how the dough is forming. If you see that it’s sticking to the sides, use a spatula to scrape off the dough. If you’re going to add fruit and nuts, do it after the kneading cycle/just before the final kneading cycle or when the machine sounds an alarm for this so that the fruit and nuts don’t get crushed. 6) Remove the kneading blade. Before the baking cycle starts, see if you can remove the kneading blade from the machine. This will ensure it doesn’t bake into the bottom of the bread. If it does, it will leave an unappealing hole once you remove it from the final product. 7) Remove the bread. Once the bread is done baking, remove it immediately. First, take out the pan if it can be removed. Make sure you use oven mitts as the pan is still hot. You’ll want to remove the bread immediately for a number of reasons. First, you don’t want the crust to harden any further. Most machines have a “keep warm” function and it will keep baking the bread albeit slightly. If you’re not there to remove it, the “keep warm” function will at least keep your bread fresh, but removing it immediately is the best idea. Another reason is that you want to let the bread cool immediately on a cooling rack. This will allow water molecules to escape, thereby leaving the inside of your bread soft and moist but not soggy. Make sure you let it cool before slicing. 8) Store leftovers. Don’t put leftovers in the refrigerator, it will draw out all the moisture and your bread will go stale faster. Put the bread in plastic bags or containers to retain the moisture and leave out in a cool, dark place. Make sure you consume fresh baked bread within 2 days as they tend to go stale faster than store-bought breads. Try not to make batches too large for your needs. 9) Clean the bread pan. After the bread pan is cooled, hand wash it. Don’t put it in the dishwasher even if your manufacturer says it’s safe. 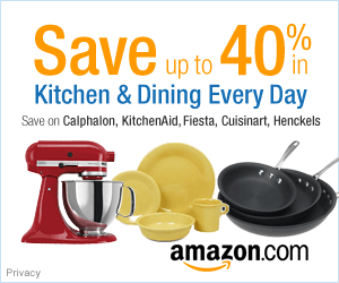 That’s because the nonstick surface will get slowly damaged and eventually lose its coating. When hand washing, don’t use anything abrasive. Just use a sponge and soap. 10) Make more bread. If you intend to make one loaf after another, make sure your bread machine has cooled down completely, otherwise it will ruin your next batch because the ingredients have been affected by the machine’s temperature. Bread baking is like a science project – it’s a very sensitive process. So the slightest deviation in temperature or ingredients will ruin the finished product. Hello! I have a Cuisinart bread maker and I can’t figure out how add in my extra ingredients to make flavored breads without my maker carrying on or starting over. Am I missing something? It got me when you said that there are machines out there that we can use not just for mixing but also for kneading. As you said, they can also be used to make pasta and not just bread. I guess I will look for a machine like that so that it has many functions. My original plan was just to have a kneading machine because my whole arm hurts now that I am starting my baking journey through online tutorials. Thanks for the information!